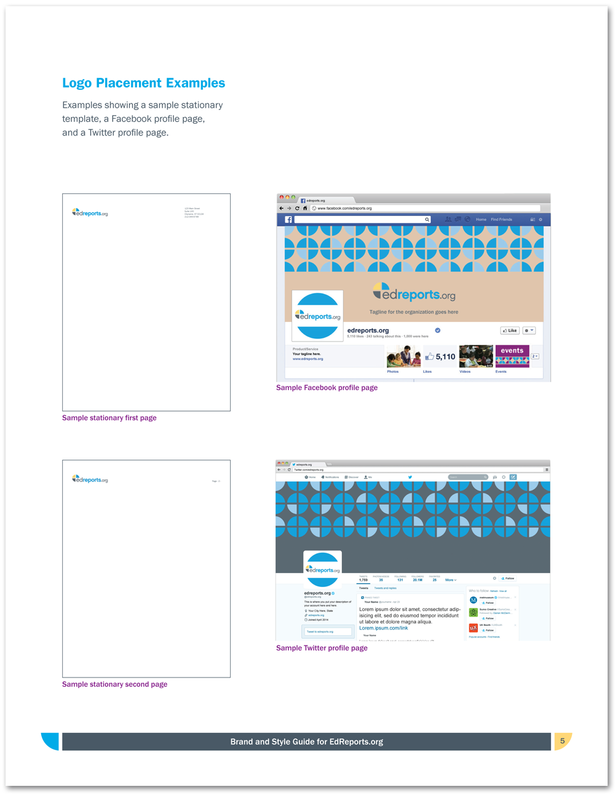 EdReports.org branding: logo, style guide, powerpoint template, sample twitter page, sample facebook page. 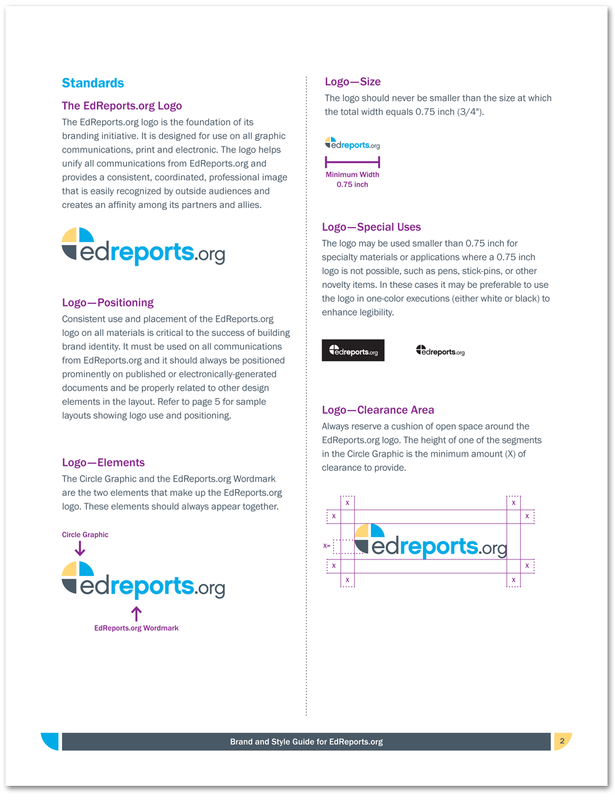 EdReports.org is a non-profit organization whose mission is to improve K-12 education in the United States by providing reviews of instructional materials. They want to be the trusted source of reviews and ratings for educational materials. They worked with Widmeyer Communications/Finn Partners to develop the brand for the new organization. Widmeyer/Finn Partners contracted Lisa from Cultiva Studio to design the logo, establish a color palette, design a Powerpoint template, design the branding style guide (which includes example designs for Twitter and Facebook pages). Lisa’s idea for the logo mark is a circle cut into four segments with the bottom right missing. The shape of the mark looks like the lowercase “e” in the name. 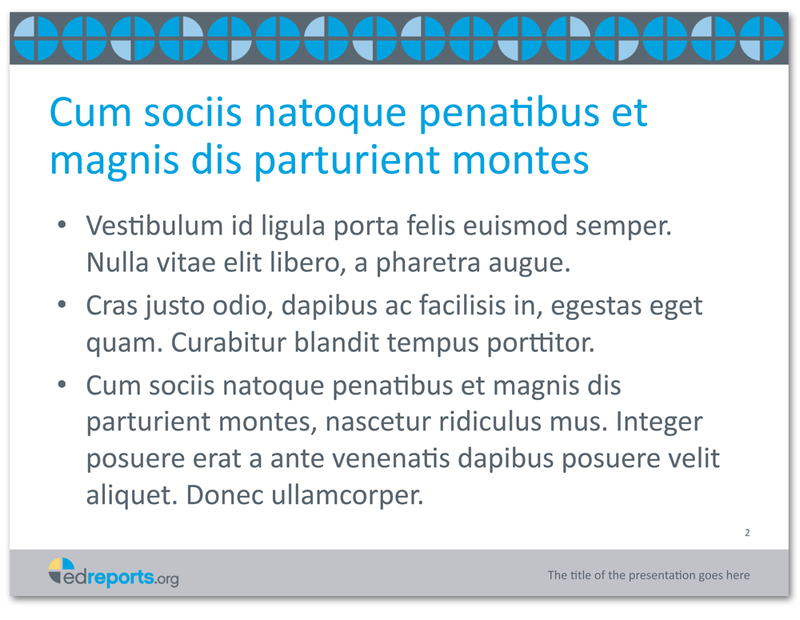 The circle cut into four segments image can be used to create symbols for a ratings system; and can be used to create background patterns. 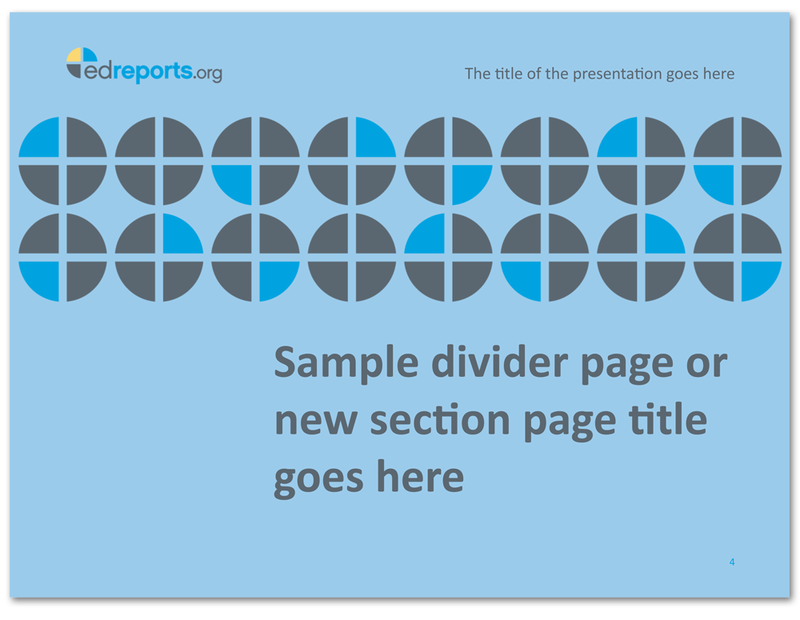 Idea presented to client for a ratings system inspired by the logo mark. Shown in an earlier color palette.